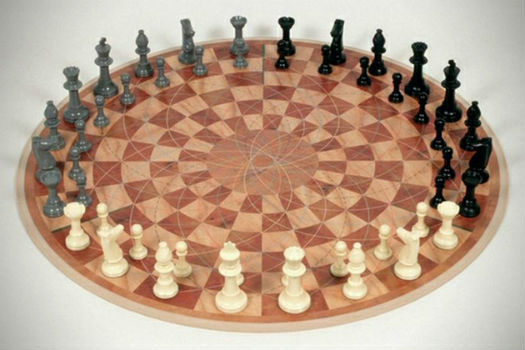 I did a Google Search, and found out that this was a proprietary chess variant. It was on an 8 by 9 board. both Bishops are of opposite colors. the Bishops are opposite Bishops. can only capture, again on Queen lines, by moves of 2 or 3 spaces. The company making the game appears to have failed and disappeared. behind it, and is so similar? superior opponents... a variant has appeal for exactly that reason. So it's a totally different kind of game. setting up the coalition than with the actual play. us are interested in chess and other strategic games.